Now tell me. 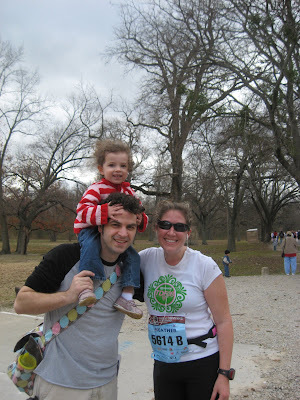 Would you be able to stop at Mile 15.5 of 26.2 to pose for a picture? NO WAY!!! Only the TRUE runners can do that. 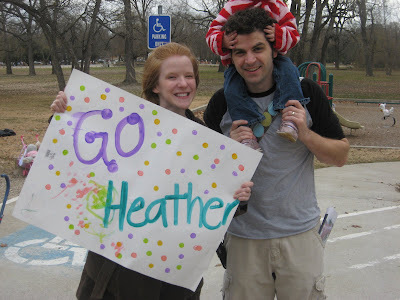 Way to go Heather- we are SO proud of you! What a marathon superwoman!!! Gabe has asked me to make sure that you noted his presence at the race this morning as well. He was a bit annoyed that he did not make the pictures. Aww, thanks!!! You guys were the best cheerleaders ever. I loved my sign!